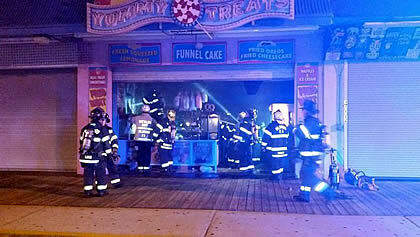 The Wildwood City Fire Department responded to 4004 Boardwalk for a report of smoke showing at 11:51 p.m. June 16. Engine Co. 38, under the command of Captain Sacco, and North Wildwood Fire Department Engine 2, arrived and confirmed a working fire and requested the Box Alarm. 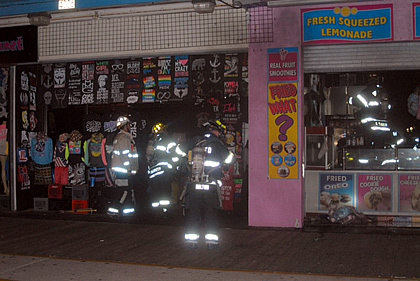 Firefighters found fire in the Boardwalk-level store area extending up an interior wall. The All Hands was transmitted as Engine Co. 38 stretched 300' of 2-1/2" attack line. The fire was quickly knocked down as ventilation was completed. The store was closed at the time of the incident. Fire units operated on scene for about one and a half hours. There were no reported injuries. Units operating on scene were Wildwood City Fire Department, North Wildwood Fire Department and Rio Grande Fire Department. 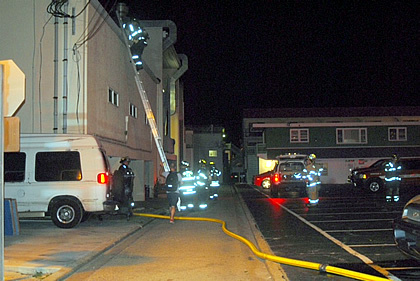 Wildwood Crest Fire Department covered the city, along with Middle Township EMS. 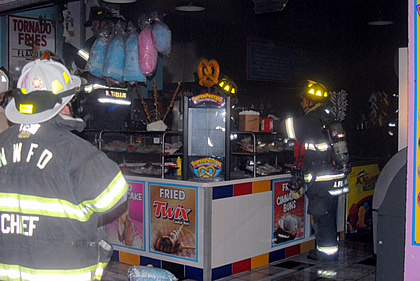 The fire was investigated by the Cape May County Fire Marshal's Office and the City of Wildwood Fire Department, and was determined to be accidental (electrical). Damage is estimated at $20,000.